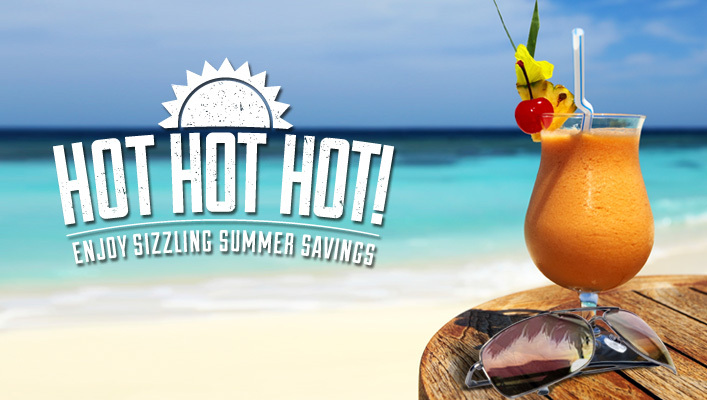 It’s officially summer and our Sizzling Summer Savings are back with exclusive savings for your summer travel from now until August 23rd! With our Hot Hot Hot promotion, when you reserve your stay at any Secrets Resorts & Spas, you will enjoy up to 30% savings. Plus, you’ll receive $200 or $400 in coupons, depending on which room category you reserve, to spend while you’re at our resorts! You have to hurry, though, because this offer only lasts until July 31st! This entry was posted in Secrets Resorts & Spas and tagged Promotion, savings, Summer, Summer travel. Bookmark the permalink. ← Day Excursions at Secrets Vallarta Bay: Extreme Canopy Tours in Puerto Vallarta! June 2010 got married there. We want to come back. Any special offers. I am an AMResorts specialist and they often have great offers. Send me an email, staceyheitz@goinstyletravel.com and I will gladly put your name on my watch list and let you know when something is happening.